Learn about the importance of data analysis at a daylong program titled “Harnessing the Power of Data to Enable Warfighting Superiority” hosted by The Patuxent Partnership from 8 am to 4:30 pm Thursday, Sept. 1, 2016, at the Southern Maryland Higher Education Center in California, MD. The first panel of the day, “Big Data: A Game Changer for the Navy,” will include moderator Margaret Palmieri, Director, Integrated Fires, OPNAV; RADM (sel) Carl Chebi, Vice Commander, Naval Air Systems Command (NAVAIR); Leslie Taylor, Executive Director of the Naval Air Warfare Center Aircraft Division/Deputy Assistant Commander, Test and Evaluation, NAVAIR; Anant Patel, Program Manger, Future Combat Systems, NAVSEA; Roy Harris, Director, Aviation Readiness & Resource Analysis, NAVAIR; and Capt. Mark Kempf, Program Manager, Battlespace Awareness and Information Operations, SPAWAR. The second panel will be moderated by Bill “Roto” Reuter of R-Squared Solutions and is titled “Applying Outside Solutions to Big Data Challenges.” The panel includes Jean Young, Managing Director of Data Analytics, PwC; Mark Lochbihler, Director, Partner Engineering, HortonWorks; Paul Reynolds, Senior Director, Information Architect, U.S. Dept. of Homeland Security; Russell Stalters, CEO, Clear Path Solutions; and Mark Ritzmann, Chief Technology Officer, Analytics, IBM Federal. The last panel of the day, “Creating a Vision of What’s Possible With Big Data,” will be moderated by retired RADM Steve Eastburg, TPP Board of Directors, Smartronix. Panelists at this section of the program include Dr. Kirk Borne, Principal Data Scientist, Booz Allen Hamilton; Mark Ryland, Chief Architect, Amazon; Mike Lakowicz, Senior Director, SanDisk; Ted Malone, Big Data, Advanced Analytics an Machine Learning Technologies, Microsoft; Muhi Majzoub, Executive Vice President, Engineering, OpenText; Chris Whitlock, Deloitte. 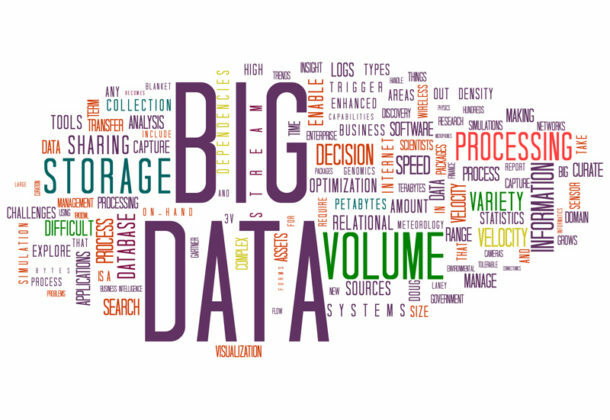 The topic of Big Data has become increasingly popular. Companies of any size, large or small, can benefit from the increased data gathering to improve their capabilities, according to data expert Kevin Daum. “If managed well, data can be powerful, but used incorrectly, it can take you down a rabbit hole or eat up precious resources,” he said. A complete agenda for the program, cost to attend and exhibitor opportunities are available on the TPP website. Pre-registration is required. A reception will follow at Bollywood Masala.